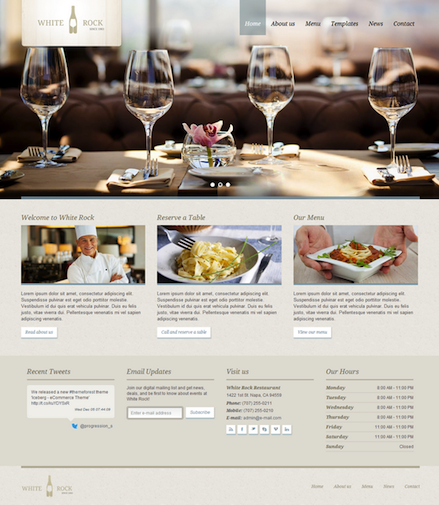 Show off your restaurant with this easy-to-customize and fully featured WordPress Theme. When purchasing this theme, you will receive a detailed help file along with additional features like Unlimited Color Schemes and Responsive Layout. Other features include twitter feeds, menu card, google maps integrated, reservation contact, scrolling images and more.